The Cold Steel Police Baton offers a 26" overall length with a ribbed handle grip for self defense use. Constructed of solid black polypropylene that will never warp, crack, rot, or fade. Ribbed handle with a thick rubber retaining stopper. 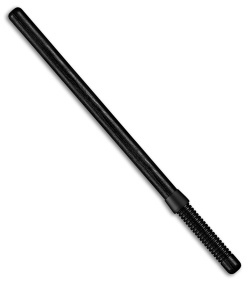 26" overall length with single piece construction.